If you have ever suffered from allergy symptoms, you know how miserable they can make you feel. The world is foggy, your brain is dull, your eyes and skin itch incessantly, your sinuses are like a dripping faucet and you are tired and lethargic. In a word, allergies make you feel miserable. Dog allergy symptoms are very similar, and they can feel miserable too. Although they can’t tell you what’s wrong, you can usually detect a problem when they start scratching. This is the first sign that your dog is suffering from symptoms that are often an allergic reaction. The difference between scratching as an allergic reaction and normal scratching is the frequency and intensity of the scratching. If your dog seems to be scratching without relief from the itch, it is most likely that it is an allergy symptom. Normal itches are relieved with a simple scratch. Note that in the case of allergies, the scratching is also often accompanied by continuous licking. These are the most common and obvious symptoms of a dog allergy. You may also notice that your dog is less energetic than usual – the canine version of the foggy blur experienced by humans. The most common of all canine allergies is atopy, a condition caused by house dust, outdoor pollens and human dander; in other words, possibly anything your dog comes into contact with in his environment. Because the possible causes of inhalant allergies are so many and complex, allergies in this category are also the most difficult to diagnose. These same symptoms could indicate another allergen as well. Therefore, it is best to rule out all other allergens first and then, if the symptoms persist, consult your vet for allergy testing. Fleas are a major problem. If your dog has fleas, your home will soon be infested as well, so whether or not your dog is allergic to the fleas, you will undoubtedly want to be rid of them. The flea is not the actual allergen; rather it is the flea’s saliva that causes the terrible discomfort for your dog. 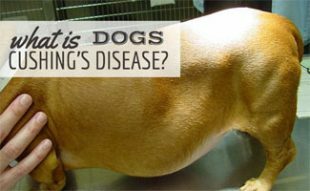 These symptoms are commonly seen on the back half of the dog, but they can appear anywhere on the body. The best way to beat an allergic reaction to fleas is to first, get rid of the fleas, and second, take preventative measures to ensure that the fleas never come back. Medications and flea collars are best for this purpose. A very common dog allergen is food. Dogs are most likely to be allergic to any of the grains commonly found in dog food including corn, oats, wheat or whey. They can also be allergic to the dairy products or any of the meats such as beef, chicken, pork, lamb or fish. Food allergens typically present with gastrointestinal issues and skin irritations together. If your dog is vomiting or has diarrhea, or if he is scratching incessantly, consider first his dog food. Although dogs can be allergic to any food, the most common are corn and wheat. These ingredients are often used as fillers in dog food, so you can try a diet that doesn’t have corn or wheat and see if the symptoms go away. If, after approximately 2 months, the symptoms subside, you will know that he was suffering from corn and/or wheat and you can steer clear of these ingredients in the future. 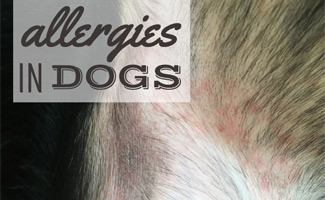 Contact allergies are reactions to something the dog has directly touched. The most common causes are topical medications, fabrics on bedding or furniture, plastic toys, food bowls or even flea collars. Your dog could even be allergic to other pets in the family or, worse yet, you. Unfortunately, the only real solution to contact allergies is to remove the culprit from the dog’s environment altogether. The good news, however, is that contact allergies are the least common of all dog allergies. All dogs have some Staph bacteria on them. This is normal. What isn’t normal is when, on occasion, a dog develops an allergic reaction to the bacteria. When this happens, your dog will suffer hair loss in small random patches all over his body. These patches can become raw from scratching, and then they become infected. The only way to treat bacterial allergies is with antibiotics. Kimberly, a writer for Canine Journal, took her dog, Sally, to the vet after she noticed her scratching and licking excessively. This is her experience below. Sally had been licking and scratching a lot, and her belly and armpit areas were red. We applied some cortisone, which helped reduce the redness, but it never completely resolved itself. Allergies weren’t on our minds at all since it was winter. In fact, we thought she was suffering from extremely dry skin because it was a particularly brutal winter. We decided Sally needed to see a vet since it wasn’t getting better. The vet took one look at her and knew it was allergies within seconds. The vet said it was most likely some type of indoor allergen since Sally spent a majority of the winter inside where it was warm. Sally had irritated the area enough for her also to develop a Staph infection. I asked the vet how she knew Sally had a Staph infection. She said the pus-filled lesion and her dry, flakey skin were tell-tale signs. I felt a lot of guilt for not getting Sally into the vet sooner, but I was also glad she was getting the care she needed. The vet prescribed Cephalexin (an antibiotic) and Prednisone (a steroid) to help alleviate the allergies and get rid of the Staph infection. 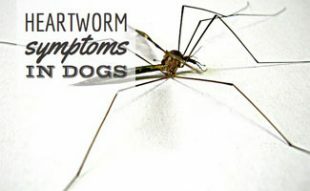 The vet also told me that this was the most common illness she sees during the winter. If your dog is scratching more than usual, start paying close attention to the triggers listed above. 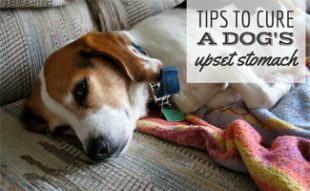 In most cases, you should be able to diagnose the problem on your own and then take appropriate measures to protect your dog from the allergens that most affect him. If you are not able to figure it out on your own, however, you should consult your vet for a skin test that will be able to tell you for sure what your dog needs to avoid to be healthy, comfortable and happy. Skin problems, including allergies, are among the most common illnesses for dogs. 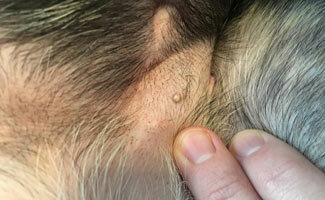 Find out what other common skin issues dogs have, so you know what to watch for. Chronic health concerns can lead to lots of vet visits and bills. In other words, your dog’s allergies could be a very expensive problem. But, if you have pet insurance before your dog is diagnosed with the issue and are still active with that policy, there is a good chance that these vet bills could be at least partially covered by your carrier. Now would be a good time to take a look at your policy and give the company a call to see if they can help you make an already irritating ailment a little less financially painful. Or, if you have a new puppy and are worried it may have allergies in the future, be sure to signup for a reliable pet insurance policy before the condition is considered a preexisting condition. 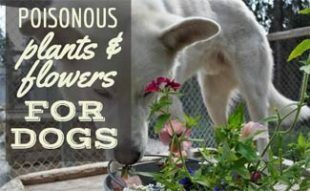 From which allergies does your dog suffer? My Dachshund has developed large pet dander? Clear in color. He is Not loosing any hair.He itches constantly .He has been treated for fleas and I haven’t found any when flea combed. I tried a dog dandrif shampoo ,but not working..
Do DNA tests help to diagnose food allergies, yeast, air born,, etc. ? If so which DNA kit is the best to get the best results? I tested Embark and Wisdom Panel. Neither of them test for allergies. I would assume if you talked to your vet they could test your dog for these things. I suggest asking them. We’ve adopted a new 4-month old pup (Ollie) that was mauled by grown up strays about a month ago. He’s on his way to recovery now after being in the hospital for 11 days. I’ve two more girls, a 3-yrs old mutt, and a 6-yrs old lab. Most of the time the two younger ones are good company for each other but at times I find Lyla, our 3-yrs old, being rough with him. Ollie’s still recuperating from broken ribs, bite wounds, etc. but that doesn’t stop him horsing and running around with Lyla. Off and on, it’s Ollie who’s at the receiving end, being small. I’m petrified of him getting hurt further; but my family seems to feel it’s normal. I feel Lyla is feeling insecure and jealous of all the attention he’s getting. What’s the way out? I’ve seen such tolerance and acceptance between different age pups, why can’t my girls be like them? Get rid of either dog! Horse play can lead to further injuries of tiny dogs, even if it is an accident. Larger dogs can playfully pop out an eye or become jealous and purposely bite the little ones too hard, thus rendering them lifeless. There’s a good reason why puppy day care centers seperate dogs based on their size. My dog has inhalant allergies. I have to give her hydroxyzine daily during the warmer months or she tears her face up. I have had the good fortune to travel these United States quite a bit in my time and I have met a lot of people that make their livings in the most interesting of ways. This article reminded me of one such person who was in the business of raising and training “Frisbee dogs” that were sponsored by a major pet food manufacturer (which shall remain nameless). He had about a half dozen or so dogs in his stable and their show consisted of the different dogs performing Frisbee tricks with their trainer, sometimes two or three dogs at a time. Let me tell you, these were some good looking, happy dogs. Not only did their trainer love them a great deal, you could tell that he had done a lot of research and took great pride in how well he took care of his dogs. They were all very well socially adjusted, they had very healthy coats, and they were all very active and seemingly happy dogs. His care of them went beyond just knowing what and how to feed and water them, he genuinely paid attention to each of them individually and knew what they needed just as a mother knows their own child. It was touching to see and the dogs were impressive in their abilities to boot. I had a chance to talk to this gentleman at great length over the course of the week we were working together at the event my company had been hired to work. I am a certified dog-lover that has always had them in my home from the time I was a very small child. He and I connected very quickly over this mutual and sometimes unexplainable fondness for man’s best friend. What he shared with me about the care of his dogs was remarkable. The frequency with which he bathes them and trims them, the way he doctors them with his local veterinarian, and most interestingly the diet that he fed them were all things that stuck with me for years to come. In regards to the diet, he told me that without exception, the only thing he feeds his dogs is raw chicken parts. I asked about the major pet-food sponsor whose banners were hanging all around us and his dogs and he said flat-out that under no circumstances would he feed even their highest-level brand of food to his dogs. Pressed for a reason, he shared that with the preservatives and chemicals found in most all dog food, not only will dogs often exhibit allergic reactions; they are far more prone to develop cancer later in life. I have lost three dogs to cancer and it is never fun to watch your beloved pet slowly succumb to the disease. Talking with this man has led me to believe that dogs are not supposed to be eating factory made meat products, the need meat! I will never subject my dog to that kind of thing again. There is nothing sadder or more depressing-looking than a hairless dog. Well, a hairless dog that is supposed to have hair anyway. That was my dog several years ago when the poor thing became infested with what we came to find out were skin-mites. In the course of just a couple of months, she had bitten, rubbed, or scratched off over ninety percent of her normally thick and luxurious black and white coat of fur. My family, the vet, and I all struggled to determine what the problem truly was as poor Roxy lost not only her hair, but almost all her sleep, nearly her sanity, and almost her life. We initially noticed a small “hot spot” on Roxy’s belly, a small bare patch that she had scratched off all the hair from with her paw. It did not look especially large or irritated and she had had them before, so we largely ignored it. Well, then the one hot spot became two hot spots, and then two became three and before we knew it, our dog was starting to look more like a scruffy pig than a canine. We took her promptly to the vet as it became obvious that she was uncomfortable and that something needed to be done. This is when things got really scary for the old family dog. The vet simply could not figure out what was the matter with her. At the outset, they tried treating her for skin allergies similar to the ones outlined in the article. They gave her some medication to be taken orally to try and relieve the irritation but they had little to no effect. They gave her cortisone shots for temporary relief and they also tried prescribing steroid pills and injections that only made her sick. The vet estimated that it had been over a month and half since she was able to get a full night’s sleep because she was constantly itching and it would wake her up. As she kept scratching at her bare hide, she started to open up sores and scratches that caused her a great deal of pain constantly. Within several weeks of going to the vet, it became clear that Roxy was not getting better and that if she continued to worsen and her quality of life did not improve, we may have to consider putting her down. We loved this dog like a member of our own family, probably even more than most of our own family, so the mere thought of ending her life prematurely put us through a significant amount of pain. On what could have been one of the last trips to the vet ever for Roxy, they finally figured it out. I do not know how or why they had not checked for it before, but they found the root of her problem. Skin mites were literally burrowed into and living in her skin. A few weeks of treatment, and we had our dog back.